Every spring for the past five years, the song “Cherry Blossom Ending” has topped the local music charts. Released in 2012 by local band Busker Busker, the track is recognized as Korea’s national spring song. 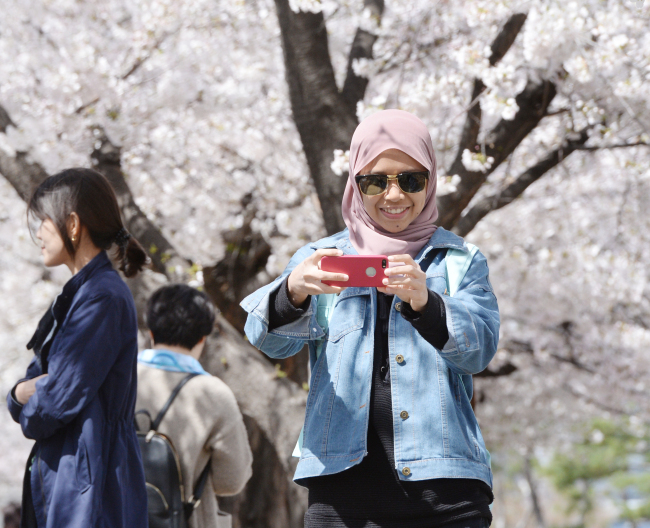 People often say, the track will tell our descendants what spring was like for us when the delightful season disappears from severe global warming, as cherry blossoms are a symbol of Korea’s spring. It’s almost an annual ceremony to step outside to enjoy walks under small pinkish-hued flowers. 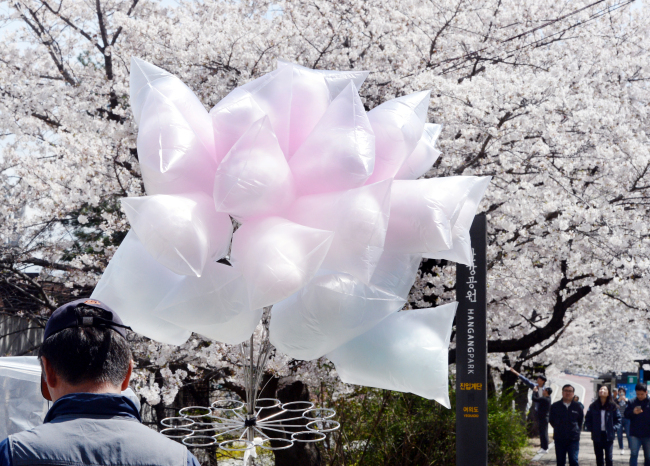 As cherry blossoms “pink clouds” on streets, many visit parks and areas famous for the spring flower with the loved ones, friends and families. 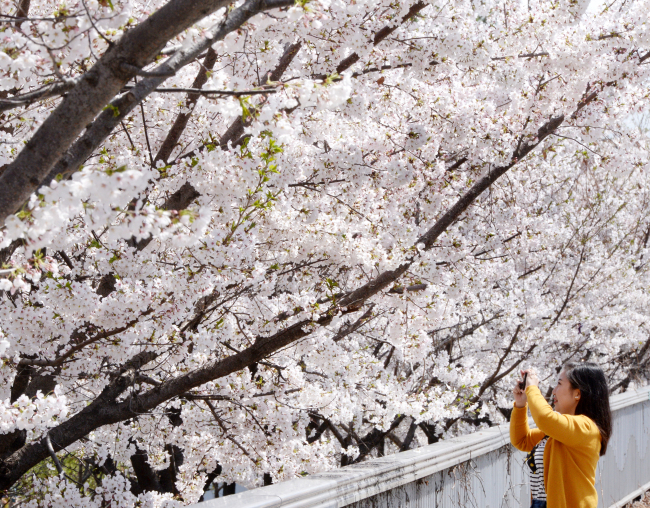 Yeouido area in western Seoul is a sought-after destination for cherry blossoms. 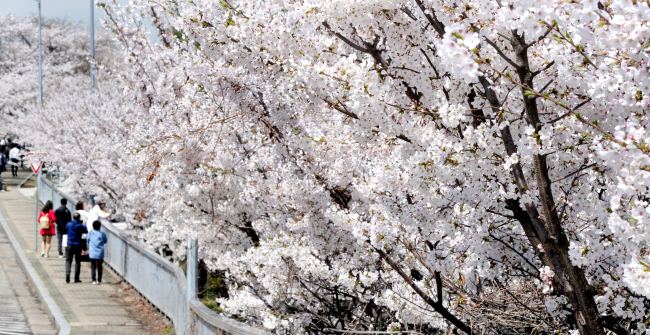 It is famous for Yunjung-ro, a 1.7-kilometer road filled with 1,886 cherry blossom trees. The street is studded with more than 20 species of spring flowers, including forsythias, royal azaleas and apricot trees. To celebrate the spring in its full bloom, the annual “Yeouido Spring Flower Festival” is held from Saturday to Thursday. Vehicles have limited access to the road near the National Assembly Building. Various colored lights light up the cherry blossoms at night, creating a luminous atmosphere. Street art events and performances are prepared to entertain the visitors. 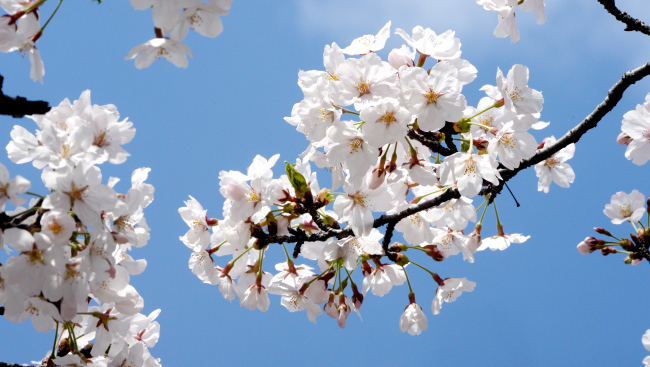 Cherry blossoms are at their peak this weekend. The area can be reached by walking from the National Assembly Station, Subway Line No. 9.